Wow! 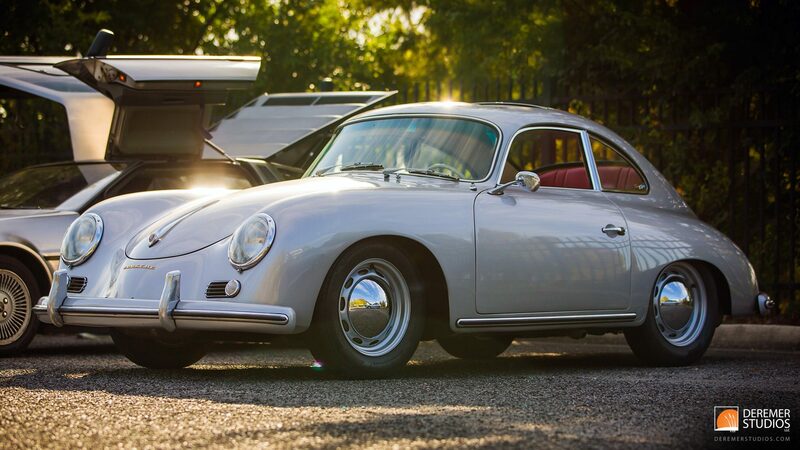 It’s been a busy couple of weeks here at Deremer Studios, but thankfully we were still able to get out to Jacksonville’s Cars and Coffee this weekend! After skipping a month thanks to our buddy, Hurricane Matthew, it was nice to see everyone come out yet again for the penultimate Cars and Coffee to be held at the Times Union Building. The fine folks that put on the show are on the lookout for a new location for the meet-up, beginning in January. 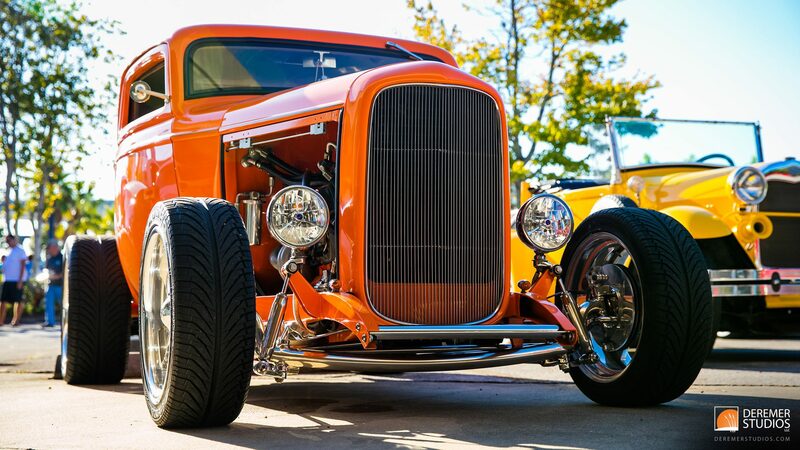 If you’ve got, or know of any locations with 400+ parking spots and a great atmosphere, please let the good folks at Automotive Addicts know. This month, VW was the featured marquis, with a hearty showing of Golf representing much of the history of the German manufacturer’s storied model – many with a healthy touch of modifications for your drooling pleasure. 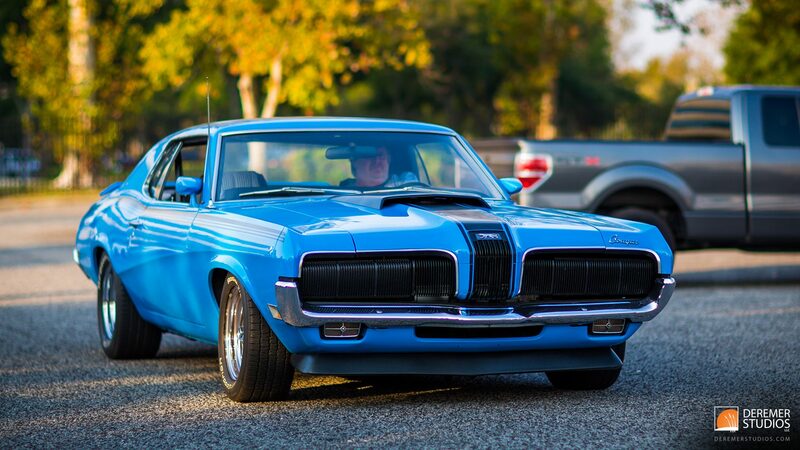 Vintage American muscle was also there in force, with a wide range of 60’s and 70’s Corvettes, Mustangs and Firebirds, and the rather splendidly restored Mercury Cougar, above. 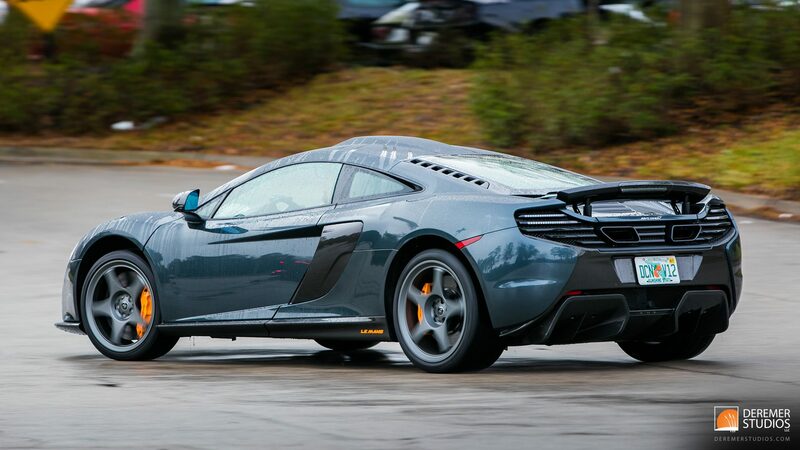 The morning was rounded out with some modern muscle, like the ACR Viper, a couple of exotics, and a smattering of modern Euro and Asian rides. In total, there were about 200 folks that brought their cars out for a morning of shared passion. Isn’t it nice when we can all come together! 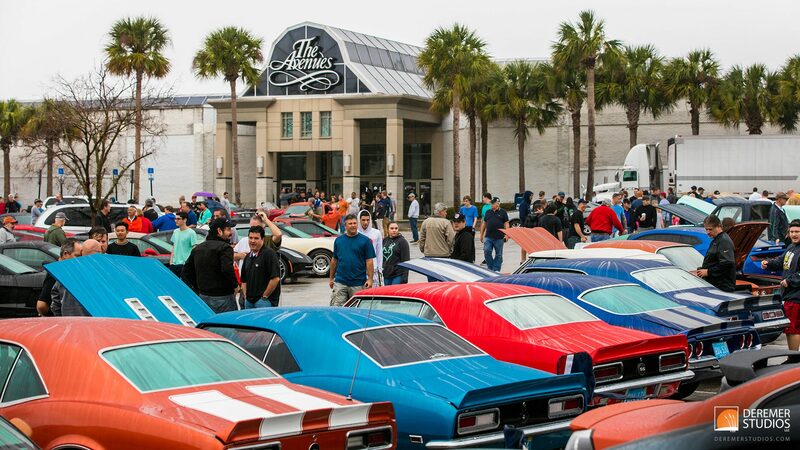 Nothing like a trip to Jacksonville’s Cars and Coffee to start off your Saturday morning! After a long overdue first visit to Cars and Coffee last month, we made sure to set some time aside in the calendar (between sleep and a Lego build for the kids at Toys-R-Us) to spend the first couple hours of the day with a few hundred car nuts and their beloved four-wheeled children. 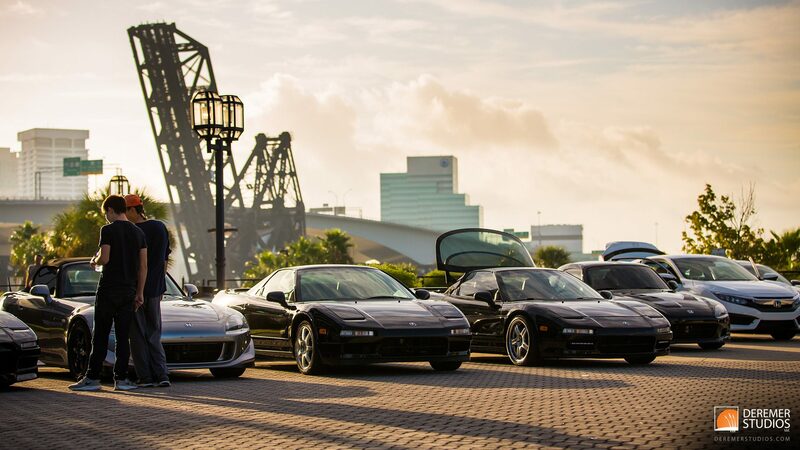 This month, Honda brands were the featured marquis, with a large Acura NSX contingent lining the entrance to the Times Union building. A few other cars that caught my eye were a great example of a well loved American Austin (a domestic version of the Commonwealth’s Austin 7), a beautifully restored Citroën 2CV, a DMC DeLorean complete with its original 1982 tape deck, and a whole gaggle of 1st and 2nd gen Vipers. Add to that a JSO-liveried BMW M6, a post-apocalyptic-styled mustang, and a drift-modded Nissan 370z, and you have a feel for the amazing array of cars you’ll find from month to month. You nenver know what you might see! 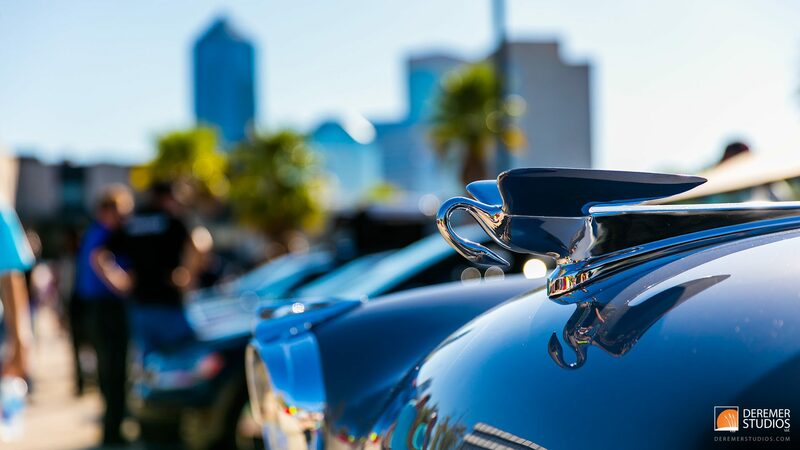 So, as time allows, we’ve decided to do our part to highlight the amazing car scene here in Jacksonville, FL – such as the Jaguars Car Show from this past weekend. Sure, Jacksonville is known for our connection to the Navy, being a hub for industries like logistics, banking and healthcare, and of course for having a bridge for each day of the week spanning the St Johns River – but the area is also known for a rather splendid, albeit diverse, car culture. From the amazing automotive spectacle that is the Amelia Island Concours d’Elegance, to grass roots movements such as the popular Cars and Coffee meetups arranged by Automotive Addicts – Jacksonville is full of folks that have 10W30 with their cereal in the mornings and go to bed with the sounds of throbbing V8s dancing in their heads. 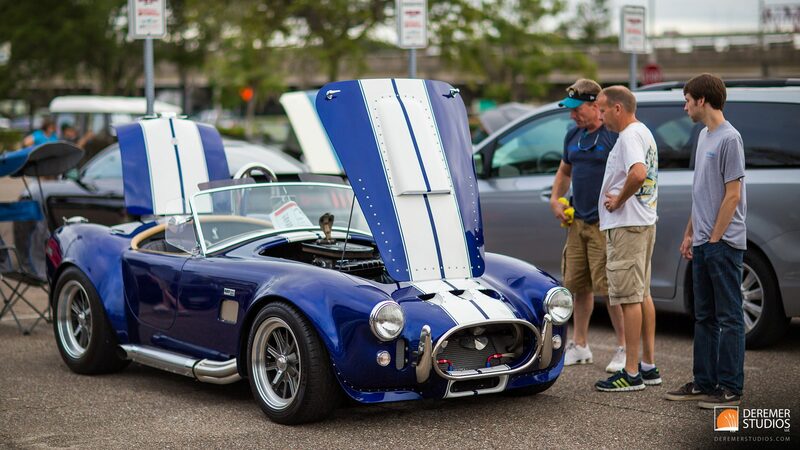 So, it was no surprise to see a great collection of cars at this weekend’s Jaguars Car Show. Ranging from late model sportscars and exotics, to a vintage Porsche and a race-spec Shelby Mustang – there was something for pretty much anyone – unless you hate cars – but that’s your own fault… As is often the case, we had a busy Saturday, so our trip to the show was shorter than I would have liked, but it was a great time to catch up with old friends, make a few new ones – and see some great metal! I was quite pleasantly surprised at the number and diversity of vehicles at Cars and Coffee. 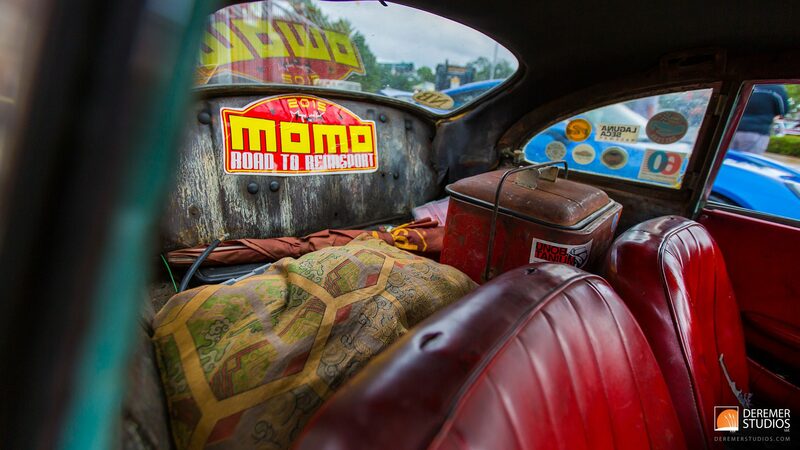 From hot rods to exotics, antiques to modern muscle – the list of cars was all over the board. Many cars had been nicely restored, many of the modern vehicles had any number of modifications, and there was even a good helping of cars, like my TR6, that were in varying stages of restoration – so I felt right at home. Though the TR6 is a relatively rare car in the States, I was surprised to discover not one, but two other TR6’s at the meet-up. All in all, it was a great event, and one I will certainly make an effort to be a part of much more often!